Consulting Company in the Houston Galleria area is searching for a .Net Cloud Solutions Architect. This person will educate and collaborate with customers to create customized technical solutions to meet their client’s specific business needs. This role will help increase business value and overcome challenges during the solution engineering phase of our customized Software & DevOps projects. The Solutions Architect will always be challenged with something new. Technical detail is still a requirement and the Solutions Architect will be in front of the business, speaking with stakeholders. The job will require the Solutions Architect to come up with the overall solution blocks, what technologies to use and how to use them and you are the key enabler for our Account Executives. If you are a technology expert, with a desire to provide potential customers with the best customer experience, this is the right challenge for you. Understand DevOps Principles and experience with popular tools for Build/Release automation, test automation, automated infrastructure provisioning etc. Company is offering a competitive salary and full benefits on this position. 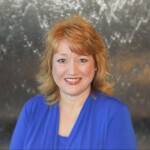 Marie is a native Houstonian and has put her energy in building ProFound’s business relationships. She has specialized in IT and software development recruiting in the Houston area since 1999. You will often hear Marie tell people to “get-into-our-circle” because she knows people, companies and she’s working on new jobs all the time. As a professional networker, Marie practices good habits in business development, recruiting, customer service, working with a sense of urgency to help people. She believes in having a foundation of long term relationships in order to be a successful Business Owner, Recruiter and Business Developer.